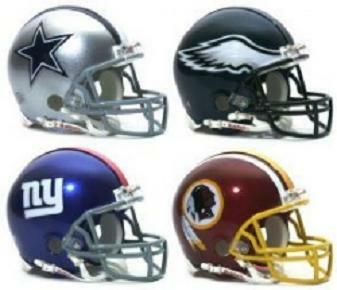 The NFC East had an extremely down year, particularly when you consider the fact that they had the Dream Team playing in it. Philadelphia Eagles–Their initial game plan did not work out according to plan whatsoever. I personally would have fired their coach Andy Reid this offseason. Not that I think he is a bad coach, but I think it is time to get some new life in there to shake up the atmosphere. The first offseason task that they have is signing DeSean Jackson. They are going to be a bit strapped for cash with their abundance of talent, but they need to get one of their best playmakers back under contract. If they want to go in a different direction, then they will need to find a new number one receiver, because I don’t think Jeremy Maclin can cut it as the number one guy. On the defensive side of the ball, this team’s biggest needs are at middle linebacker, and outside linebacker. They got very little production out of their linebackers and this killed them. With an extremely young offensive line, they need them to grow up quickly to protect Michael Vick, but in case Vick gets hurt again, they need to invest in a backup quarterback. Vince Young was dismal when he came in throwing only 4 tds opposite 9 ints (espn.com stats). A backup quarterback will provide insurance for them in case their star quarterback takes one too many hits. Dallas Cowboys–They are the Notre Dame of the NFL; always expected and predicted to do something awesome and continually produce nothing. If I’m Jerry Jones the first thing I do this offseason is dump Tony Romo. People are always in his corner and say that he plays well, but the bottom line is when it comes down to crunch time, he folds like a house a cards. This in all likelihood will not happen though. Since such is the case I think that their biggest need is a shut down corner to play opposite of Terrance Newman and eventually replace him. Mike Jenkins was drafted in the first round a few years ago in hopes that he would be able to do that and he has not been up to the task. To help out the secondary even more, they should look to add a strong safety. Shoring up the secondary will help out their defense, particularly DeMarcus Ware, who is one of the league’s most dominant pass rushers. For their final need, they should add an offensive guard to help reduce the 36 times Tony Romo was sacked, which obviously contributed to their team’s struggles (espn.com stats). In my humble opinion, as long as Tony Romo is at the helm, this football team will not go anywhere in the playoffs, but if the team owner Jerry Jones is happy with him, then they need to look at the other need areas. New York Giants–The Giants are an extremely talented team on both sides of the ball, and injuries were the only thing that prevented this team from having a better regular season record. They have an awesome core of receivers, which experienced the emergence of Victor Cruz this year (My moment to gloat: Picked up Victor Cruz in fantasy football when Manningham went down, he was owned by 0.3% of fantasy teams at the time and he had over 1500 receiving yards). To make this defense even scarier, they need to draft a dominant middle linebacker, one that can be a leader and is a great tackler. I think that another defensive tackle to prep for the future, along with Marvin Austin, will help keep this defense dominant. The good thing about being a good team (when healthy), is that there aren’t a lot of needs that need to be filled. With a few of their offensive guards starting to get older, and with the luxury of not having many needs, drafting an offensive guard of the future who can learn from the veterans will be beneficial for all parties. The Giants should be in the mix again next year to win the NFC East, and could potentially represent the NFC in the Super Bowl. Washington Redskins–This team needs a quarterback, plain and simple, without a quarterback they will not win. They have a solid duo at runningback for the future with Roy Helu and Evan Royster, but to improve an offense that averaged only 18 points a game, a quarterback (like Robert Griffin III) will be their main target in the draft (espn.com stats). Another key issue on offense is at wide receiver. Santana Moss is getting extremely old and the rest of their receivers quite frankly, aren’t any good. Their third and final need they need to address is a nose tackle. They are in dire need of a replacement for Albert Haynesworth, who turned out to be a complete waste of money and space. To shore up a fairly solid defense would greatly help a young quarterback in the long run. If the Skins get RG3 at #6, look for them to take a wide receiver in the 2nd round and then try to get a space eating nose tackle in free agency. This entry was posted in NFL and tagged Andy Reid, Dallas Cowboys, DeSean Jackson, Dream Team, Jerry Jones, Mario Manningham, Michael Vick, New York Giants, NFC East, Philadelphia Eagles, Robert Griffin III, Tony Romo, Victor Cruz, Washington Redskins. Bookmark the permalink.